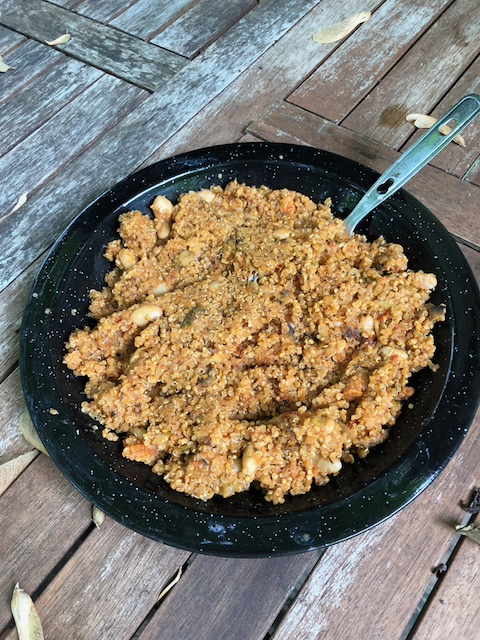 Shrimp, quinoa, tomatoes, beans, mushrooms, onions. Pack Weight - Single: 128 grams. Double: 255 grams. Louisiana style gulf shrimp simmered in a tomato sauce with sauteed peppers, mushrooms, onions, white beans, thyme and cayenne. Mixed with Quinoa. A day can't end any better then this!